In our quest to speak more of the world’s languages, we’ve now added our mother tongue: Yoast SEO 4.2 premium supports Dutch in its entirety. Our Dutch users can now use all of our innovative features, like Insights and Internal linking suggestions, in their own language. More languages will follow soon. Update: Want to know if the internal linking tool works in your language? Check our complete list of supported languages. As you might know, the release of Yoast SEO 4.0 saw the introduction of our new Internal linking feature. At that time, this revolutionary tool that helps you build an effective site structure quickly was only available in the English language. Just a couple of weeks ago, we added support for the language of our neighbors to the east: German. Now it’s time for Dutch, the language we know so well. 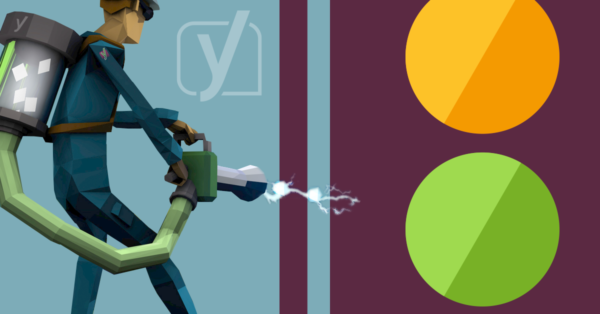 The text analysis tools of Yoast SEO checks the content of your posts and pages. It actively gives you advice on what to improve. The readability analysis gives you an idea how readable your post is for a regular person. Following the green bullet paradigm, you can see directly if your text is too hard to read. Or if it is littered with passive voice or uses too many words in a paragraph. To give you correct insights into your writings, we need to fully understand a language. This process takes time, and we’re slowly, but surely adding new languages. After Dutch in Yoast SEO 4.2 premium, it is time to work on support for prominent words and link suggestions in Spanish. Looking past that, we’d like to add support for French. If you’d like to read up on how we developed the internal linking suggestions tool and the big part language plays, we’d like to recommend this post by our linguist Irene. You can read more about the philosophy behind it in this post by our CTO Omar. Besides adding a new language, we’ve fixed a couple of bugs and made some necessary enhancements. We’ve moved the translations from translate.yoast.com to translate.wordpress.org. To tighten things up, we’ve made sure the settings page and left sidebar are more responsive, so they should accurately scale. In addition to that, we’ve cleaned up the meta box a little and enhanced the styling of the featured image warning screen. As always, we hope you enjoy this new release. If you need more information, please find the complete changelog on wordpress.org. wow this is really great news !! waiting for Dutch version since long time and finally it arrived. 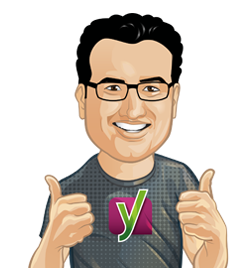 Thank yoast for bringing great plugin and helping us to do better seo. Yoast is really great plugin .All the update are best and i am waiting update for malay Language . When update will be available for malay language sir. Our premium support team can add a request for your language, if a request is not already open. Please review this knowledge base article: How can I get support? When it comes to Slavic languages, the plugin falls miserably short. Focus keywords are often not recognized. What you need is a linguist who is not oblivious to regular expressions. Awesome update. I love to read all Yoast’s work. This I would have to say is your best work hands down.